Primeview will launch the Fusion MiniLED at this year’s NAB Show in Las Vegas. 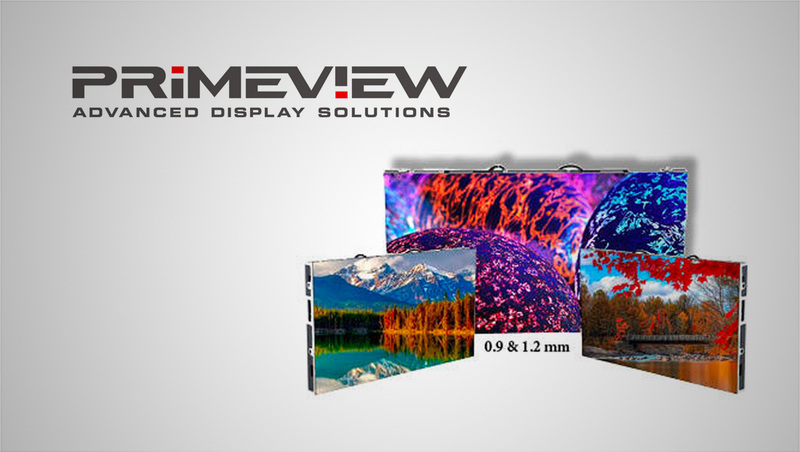 Primeview’s cutting-edge 4-1 Fusion MiniLED display offers the highest refresh rate technology on the market, providing crisper, cleaner and brighter images. The LED display walls are reliable and dynamic, perfect for broadcast studios, retail stores and corporate settings. The Fusion MiniLED has a segmental light-weight (15 LB) design and innovative cable-free full front- serviceability. The utilization of common cathode LED technology reduces power dissipation by up to 40% while significantly boosting performance for higher contrast ratios, improved grey scale and wider color ranges. “For years now, NAB attendees have been talking about their excitement towards UHD / 4K and High Dynamic Range. Today, we are confident that with the enhanced color adjustment capabilities of our new MiniLED, we will finally see the mass-adoption of LED video walls in both production and broadcast applications.” Shay Giuili, CEO and Founder of Primeview. The MiniLED displays will be a main feature at Primeview’s NAB booth (Booth SL1805) on April 8-11. Primeview contributed to the content of this story and is an advertiser on NewscastStudio.